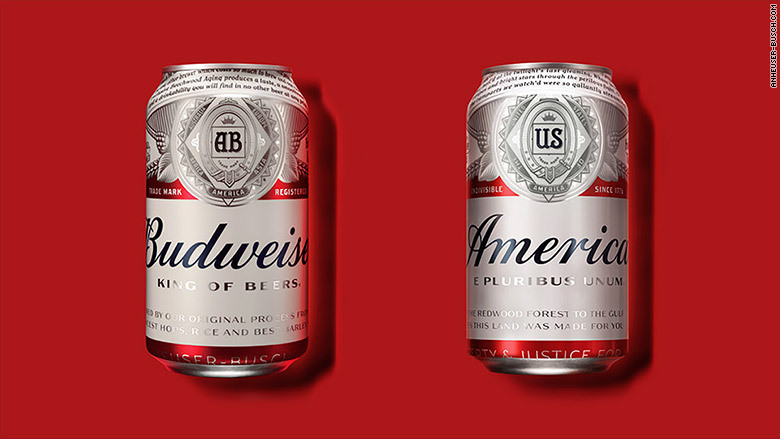 Anheuser-Busch is renaming Budweiser, its most famous brand, as America. All 12-ounce cans and bottles of Budweiser will feature the word "America" on their labels, instead of Budweiser, in the brand's distinctive cursive font. The temporary label swap, which starts on May 23 and will go through the presidential election in November, is meant "to inspire drinkers to celebrate America and Budweiser's shared values of freedom and authenticity." The new cans and bottles will also feature lyrics from "The Star Spangled Banner" and "America the Beautiful." A picture of the Statue of Liberty will appear on Budweiser's 16 and 25 ounce cans as well as its 16-oz. bottles. Anheuser-Busch has a new name for Budweiser, and that name is America. The new labels were first reported by Ad Age. Anheuser-Busch was originally an American brewer, founded in St. Louis in 1852. But the Belgian brewer InBev acquired Anheuser-Busch in 2008 to create the massive company called Anheuser-Busch InBev (AHBIF). 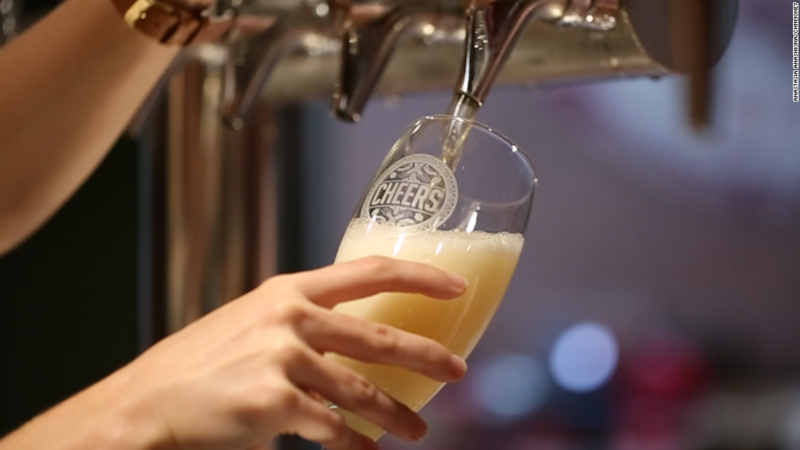 A spokesman for Anheuser-Busch insisted to CNNMoney that Budweiser, the beer, is thoroughly American, even though its parent company is from Belgium. "All Budweiser served in the U.S. is brewed in the U.S.," said the Anheuser-Busch spokesman. "This includes the beer inside all of the 'America' cans and bottles. This 'America' packaging will not be available outside the U.S."
He said there are a dozen Budweiser breweries in the U.S.
-- Peter Valdes-Dapena contributed to this story.